*Note* the above story is entirely fabricated. Appearance | Cloudy yellow-orange with off-white head that laces the glass. Smell | Spices, nutmeg, notes of citrus, cinnamon, and of course, pumpkin. Taste | Spices, note of citrus, cloves, nutmeg, and faint pumpkin. Aftertaste | Like you just finished a delicious slice of pumpkin pie, Agent Cooper would be jealous. 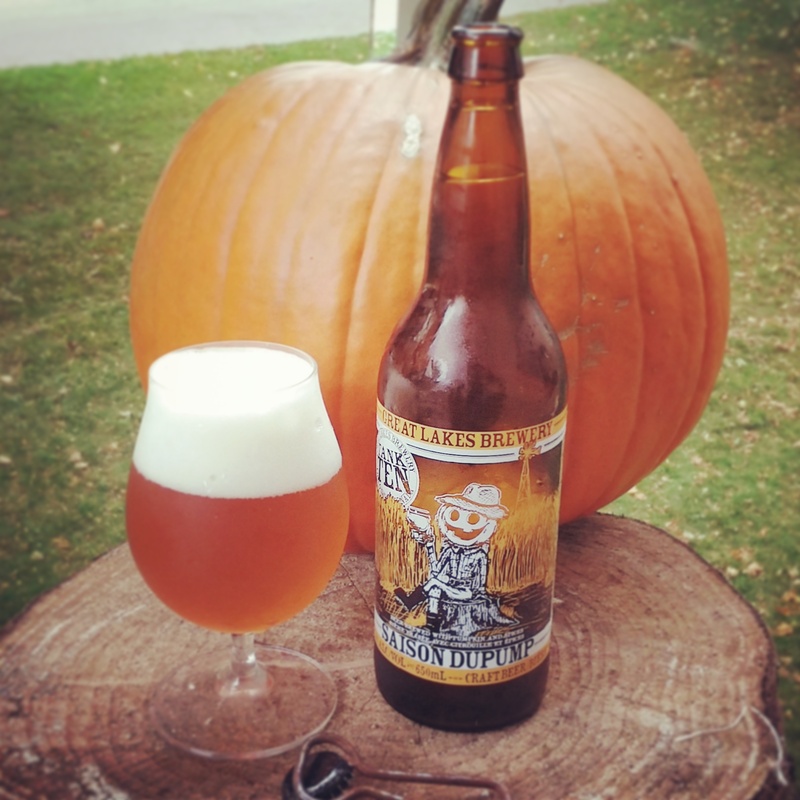 Overall | Saison Dupump is, to be honest, one of The Brew Head’s all time favourite Pumpkin beers; I awaited the release of Pumpkin Saison from GLB with much anticipation. This bottle of Saison Dupump was shared over Thanksgiving Weekend with the family. All who partook really enjoyed the light nature of the beer and the audible spices in this Saison. It was a universal hit. Saison Dupump is a great bottle to welcome October, it would be perfect at the table over Thanksgiving or while admiring the leaves as they turn on any other Autumn day! With its aromas of pumpkin pie (spices, nutmeg, cloves, cinnamon…), it’s a wonderfully crafted beer from the 2013 & 2014 Canadian Brewery of the Year. It will be a popular within the craft beer scene and of course, perfect for those newcomers who are just trying craft beer for the first time. This isn’t Great Lakes Brewery’s only pumpkin beer. Check out their other ale, Pumpkin Ale. @TheBrewHead @GreatLakesBeer I hope that jr brewer got a raise or a promotion! Next Post REVIEW: Mash’n Pumpkin Ale by Lake of Bays Brewing Co.